As yet another Gay Uncles Day is here, we all are reminded of the roller-coaster of excitement which we have every year. On the first thought of the Holiday Season, the idea that conjures up in our mind is to be showered with gifts from your friends and family members. As per the National Retail Federation, the holiday season during Christmas represents 20-40% of the yearly sales done by the retailers. China is considered as the new North Pole of America and it is deemed to be the biggest supplier of Christmas trees, tree ornaments and artificial toys. More than 20 billion cards, packages and letters are delivered by the US Postal Service during the days of Thanksgiving and Christmas. Amidst all this, it is indeed tough to stay within your budget limits. But as none of us wish to enter into a New Year saddled with debt, we have to rein in our finances. Here are few ways in which we can prepare today for the holidays that’s just a month away. What is the amount of money that you can spend on Christmas in 2017? This should be decided way back in the month of August when you’re planning for a merry Christmas. Although this task is equally boring as stringing Christmas lights but if you wish to stay within your gift budget, this is the only way out. Compute the total gift-giving budget for each recipient. If you’re someone who continues family traditions, you will still feel like spending Christmas like Santa Claus did when Christmas morning was the most exciting day of the entire year. Now that times have changed and budgets are tight, you have to decide whether or not you want to follow the tradition or change it. There’s still another month and half of the entire peak travel season is still there. When you are already equipped with the list of gifts and the recipients and you also have your budget at hand, choose to buy those out-of-season gifts from afar when you go out for some vacations to distant places. Make your loved ones know that you thought of them when you went out for a vacation. Buy the discount gift cards from the favorite stores and use the gift cards to purchase those main gifts. For instance, get a $100 gift card and get another $25 gift card along with it. There are different sites which rotate promotions for different gift cards through the year. Therefore, when you’re wondering about the different ways in which you can stay on track during the Holiday season, make sure you follow the above mentioned tips and strategies. The ultimate thing that you have to keep in mind is to take action in such a manner that you don’t fall in financial trouble in the New Year. If we have to be honest, who doesn’t love to throw a good party, particularly during Christmas? It is during the holiday season that we want to show how much we care about our loved ones by busting our household budget. We all strive to make our Christmas celebration the ultimate talk of neighborhood. But if you’re someone who is already struggling to get out of debt, it can be a real challenge to host a Christmas party. Though it’s true that you want to be just as festive as your next-door neighbor but if your pockets are tight enough, you shouldn’t get carried away. Ultimately you shouldn’t take any step that derails your money goals. Here are few budget-friendly Christmas party ideas for keeping down costs but keeping high the Christmas spirits. Think of how much money you may need for hosting the Christmas party that you’re planning. In case you wish to find out surplus cash in your budget, cut down on few categories like restaurant cash and fun money. Keep aside a realistic budget for Christmas party so that you know how much exactly you should spend. Before you begin spending, make sure you jot down everything which you wish to buy. Begin with whatever is most important. Main dishes, paper goods, desserts, appetizers, decorations, drinks and tablecloths are few of the things which you will definitely need to host a Christmas party. You can cut down expenses from the bottom of the list if you run out of funds. When you are already tight on your budget, you need to control your expenses and avoid an over-the-top party. If you invite 10 friends, how about opting for a potluck dinner? A potluck can save a lot of dollars and also reduce the level of stress of your Christmas party. The smaller the group is, the more you can hang out with your guests. Sugar is sugar and chips are chips. Cherries will also remain cherries irrespective of whether you get it from a brand or you buy generic things. You can save your dollars for the best quality cheese or to get that better cut meat. Spend less on those things which get mixed with soups and into casseroles. You can keep the invitation process as simple as it can be by sticking to an email invitation. Send the invitation with enough notice as scheduling gets pretty crazy during the Christmas season. No, it is not possible to do everything when you’re hosting a party and you will definitely need some amount of help. You may seek help of your spouse’s best friend or may be your best friend. Delegate the stuff which you don’t prefer doing and enjoy the remaining tasks. Therefore, now that you know how to plan a Christmas party within your budget, follow the above mentioned tips and strategies to save your dollars. Black Friday shopping can well be considered as Olympic sport. It is not only strategic and competitive but also takes away a lot of energy. Nevertheless, if you do the right research and planning on Black Friday, things won’t seem as scary as you may think it to be. More than 7 among 10 Americans stock on holiday gifts over the entire Thanksgiving weekend, as per the International Council of Shopping Centers. Black Friday occurs on one day but the discounts and deals continue through that specific weekend. There are many attractive deals that you can get during this weekend and without enough research, you can never settle down with the best deal. The concerns of this article will tell you about the different mistakes that are committed by shoppers during Black Friday. There are many shoppers who don’t have an idea of the things that they’re looking for during Black Friday and this is when they tend to hurt their budget. You should be able to decide on the types of products that you want to buy, identify the products online and compare among the retailers who offer such products. Who are you buying the things for? Where can you end up with the best deals on such products? Are you looking for clothes or electronics? Or are you looking for home furnishings or toys? Another common mistake committed while shopping for electronics is paying the entire price for the add-ons. These add-ons might include cables, batteries, chargers and other things which will help the big things to work. But one thing you should remember is that you won’t get such add-ons at the same place and on the same day. Hence if you wish to heighten your savings, you should know where you can get such items like electronics at the best possible price. Regardless of the place you buy them from, the quality should be the same. During Black Friday, it is indeed tempting to avail the sales and discounts on toys. It is during the first 2 weeks of December that the toy sales are extended and this is the time when the toys are given away at a very cheap rate. Hence if you see that extra discount written on the price of the Moschino Barbie doll, don’t rush for it. Do you think Thanksgiving is the new Black Friday? There are several stores that remain open on Thanksgiving, providing the shoppers a nice chance to beat the crowds of Black Friday. Studies reveal that 55% prefer staying at home during Thanksgiving. If you wish to save your dollars, it is always better to hit the store way before the actual time. So, now that you’re familiar with the mistakes people commit during Black Friday shopping, don’t repeat them when your time arrives. Steer clear from them and grab the best deals. Businesses are constantly evolving at a rapid rate, and part of that evolution is minding how your employees conduct themselves. When you own a business, you are naturally protective of your interests and assets and have placed the highest insurances protections in place. Unfortunately, employee fraud is still a significant problem faced by businesses of all types, both large and small. We never hire employees believing that they will do anything but be an asset to the business itself, but we must be prepared for this not to be the case. Know Your Staff. There are some behavioural traits that are common within those who commit or intend to commit fraud. Knowing your staff, listening to them and their concerns and getting to know them on a personal level can help you to weed out anyone you feel may be unsuitable for a place in your organisation. Pouncing on internal business issues early can help you to avoid retaliation and ‘revenge’ from employees. Train Well. You should always have transparency with your staff, and full training is an absolute must. If there are measures in place to let staff know that you fully intend to clamp down and act harshly toward those with questionable business practices, you have likely set up a really good deterrent. Internal Controls. One of the best ways to minimise workplace fraud is to limit access to sensitive information. By limiting access to certain systems such as financial information and banking, you can prevent anyone accessing personal and private information that could be manipulated. Monitor Time Off. Generally, if someone is committing fraud at work they are very careful not to spend an extended period of time away from the office just in case someone discovers their activities. Keep employees on their toes by rotating computer stations and such regularly! Not every employee goes to work with the idea of how to take advantage of your business, it would be a sad state of affairs of that was the case. That doesn’t mean you shouldn’t be vigilant at all times about those you hire and protect your business at all costs. Many of us enjoy driving, but being on the road can be expensive. From the rising costs of fuel to expensive insurance premiums, drivers face a lot of financial pressure as they seek to maintain their motor vehicle and keep it on the road. 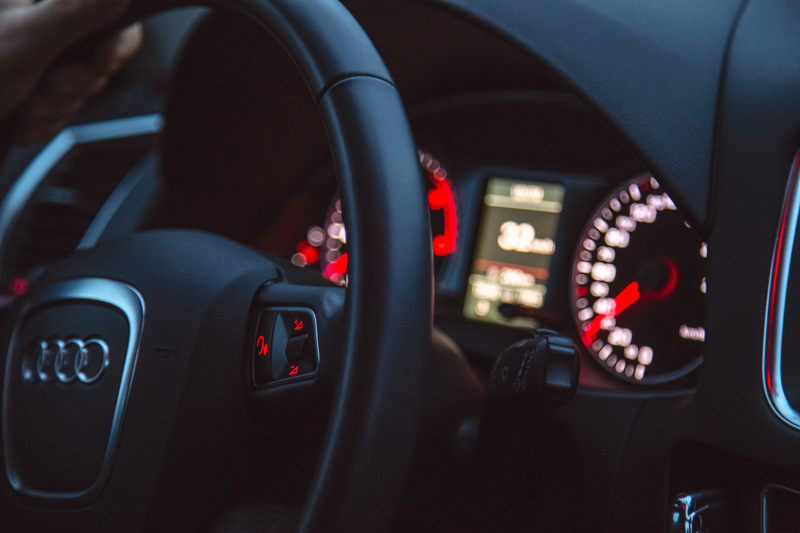 We have already covered ways you can cut down on your motoring costs, but for your financial security, the biggest way to save money is to drive safely. In 2016, the National Safety Council estimated around 40,000 people lost their lives on the road, with millions more who were seriously injured. The cost to society was huge, with $432 billion paid out, which included medical expenses and property damage. Accidents and fatalities can be avoided when we take responsibility for our actions on the road. You will also save money. 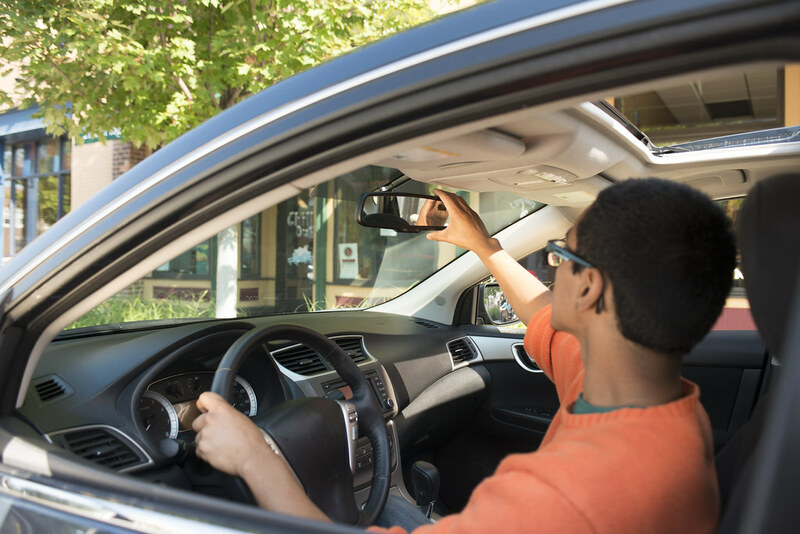 Below are some of the ways safer driving connects with your financial security. We have already seen how the cost to society was high. However, at an individual level, you will make a significant loss due to repair costs, and possible medical bills. Your insurance company should cover some of the damage, but you will need to prove you weren’t negligent. Motorcyclists often come out worse, as they are often unfairly blamed for accidents. Companies such as Parnall Law Firm specialize in helping those who are shortchanged in the insurance process, so you should always find decent legal advice. After an accident, you are also likely to see your insurance premium rise, and it may take years before you bring the premium down again. Insurance companies can be difficult to deal with after an accident. However, safer driving is rewarded through a range of discounts. For example, drivers with a clean record will often get the best rates on their premiums. Considering you can get as much as 50% off with the right company, you will save hundreds of pounds on your car insurance. The flipside, of course, is that you will pay higher premiums, not only for having had an accident but for proven unsafe driving, such as speeding. It’s clear that when it comes to dealing with insurance companies, it pays to be a safe driver. Unfortunately, there are many drivers on the road using motor vehicles that are unsafe to drive. So while your driving may be impeccable, you are still at risk of an accident if your car is a potential deathtrap. For starters, you need to be a responsible buyer. Not many of us can afford a new car, but care should be taken when buying something used. You should always hire a qualified technician to check a car before purchase, as you need the peace of mind that you aren’t buying something that will prove costly to your bank balance as well as your life down the line. Whatever car you drive, make sure you get it serviced every year. Repair costs can be high, but they will be even higher if you fail to maintain your vehicle before an accident. Of all the categories of criminal action, fraud might allow the most room for creativity. Defrauding others involves psychology and manipulation, financial sleight of hand, and trickery. Some fraud cases are interesting because they are so masterfully conceived, but the ridiculous failures are also entertaining. Here are four fascinating fraud cases you might not have heard about. Joseph Winstead, a postal worker from Washington DC, claimed he was serving jury duty on a lengthy federal trial for nearly five months. He was excused before the deliberations began but collected wages from the U.S. Postal Service the entire time, using fake court paperwork to support his reimbursement. Winstead actually got away with his crime, collecting over $30,000 in unearned pay, then got caught when he tried the same trick again three years later. Ironically, he was tried for fraud in the same courthouse where he claimed to have served on a jury. When we talk about insurance fraud, the insurance company is usually the injured party. But in the 1960s, Equity Funding of America was the perpetrator of a massive hoax. In 1964, the company had a computer problem while it was working on its annual report. The company’s CEO chose to make fictitious accounting entries to meet the deadline. The company then continued the fraud by creating fake policies to substantiate the false revenues, then it reinsured the phony policies and faked the deaths of some of its “customers” to collect on the reinsurance. In the end, the fraud reached into the billions of dollars and resulted in charges against 22 executives and employees. The case is considered to be the first major computer crime, and also resulted in some early insider trading charges. Suing a company for a faked slip-and-fall injury on its property is a common insurance fraud, but 72-year-old Isabel Parker has taken the old scam to a new level. Parker has thrown herself to the ground in stores 49 times and collected $500,000 in claims over the years. Parker was supporting a gambling addiction by gambling on insurance claims. Some organized groups of scammers have taken a page from Parker’s playbook, filing claims at dozens of businesses each year in hopes that each business will be covered by a different insurance company and no one will notice the pattern. In 2014, the FTC stopped a massive telemarketing fraud scheme, but not before the scammers had bilked senior citizens out of millions of dollars. The crooks used a variety of bogus telemarketing companies as fronts to call consumers and collect their bank account information over the phone. They then used the banking details to withdraw money from their victims’ bank accounts. Telemarketing is an industry that is rife with fraud, so people are wise to be cautious about phone sales reps. These cases are only the tip of the iceberg. Swindling others with fraudulent business practices is probably as old as commerce itself, and it continues to grow and change with the times. If you spend a few hours every day in your car, it’s a depressing experience when it comes to buying – and consuming – gas. No matter how much you fork out, it’s never long until the tank is running low, and you are back at the pump station for a refill. There is some good news, however, and a few tweaks here and there can make all the difference to your car’s performance and efficiency. And if you are prepared to learn some very basic mechanics and invest a few dollars here and there, you can save a fortune at the pumps with a few changes. Let’s take a look at some of the best ways to tune your car that cost a little but will save you a lot. Read on to find out more. First of all, something that requires zero mechanical knowledge – have a big clear out. Unnecessary stuff that you are carrying around in your auto is also an unnecessary expense, so have a good clear out and remove anything you don’t need for an emergency. For every 100 pounds of gear you remove from your car, you will see fuel efficiency savings of around 2 percent – that’s a few hundred dollars a year if you are driving a good distance every day. The car you buy from your local dealer will be fitted with good tires, but not great ones. In the vast majority of cases, upgrading your tires can make a huge difference in your fuel efficiency, and it’s something anyone can do with a jack and the ability to remove some wheel nuts. There are serious upgrades to consider, such as the Mickey Thompson range. But ultimately, you don’t have to spend a small fortune to get the benefit of more efficient tires. And even if you don’t upgrade your current set, you can still keep your tires tuned by making sure they optimally inflated to the correct air pressure. Check them every couple of weeks, and before and after long journeys. Most mechanics will swap out dirty air filters for you when you get a service, but it’s easy to do yourself. It’s a cheap tuning upgrade that makes a massive difference, too. For the sake of ten or twenty dollars, a new air filter will improve the airflow in your car, keeping your engine nice and cool and ensuring it is running efficiently. A new set of spark plugs can also make a difference, and as every car tuning aficionado will tell you, it’s one of the cheapest upgrades you can get that gives you the most bang for your buck. Spark plugs are vital for your car’s fuel combustion system and the higher quality you have, the better they work. Ideally, you should be changing your spark plugs regularly, and if you notice your vehicle starting to stall a lot, you know it’s time to make a change. Hope these tips have helped – good luck! What is it that separates a truly productive company from one that is languishing in the doldrums? Usually, it’s productivity: the amount of output they can get for a unit of input. For some companies, sellable products emerge quickly. They’ve got tight pipelines, talented people and a committed work ethic. But other companies lag behind, usually because they have failed in some way to eek the most they can out of their staff. Often the problems aren’t obvious why productivity is down. Sometimes the reasons have deeper psychological roots which lie beyond the attention of most founders and managers. It should be noted though that psychology is just another tool in your company’s arsenal to help it out-compete its competitors and to turn a decent profit. Here’s how to use psychology to up your productivity. It’s worth making the point from the outset that different psychological strategies are going to work differently depending on which demographic your business primarily employs. If your business is crammed full of millennials, then there’s a good chance that your staff will be what are being called “digital natives.” In other words, they grew up in an environment where computers were everywhere, and they understand how they work. This means that they usually have a lower requirement for things like office space and prefer remote working. Baby boomers, on the other hand, have spent a lifetime working in offices with cubicles. This is what is familiar to them. Businesses like Arnold’s Office Furniture provide an insight into the type of office equipment on offer to suit to suit the needs of different demographics. It turns out that the furniture system in your office can be tailored to fit whatever demographic you employ. It turns out that monetary compensation isn’t what most people are after when they go to work (although it does help). Instead, what most people want is to feel as if they are making a meaningful difference in the world. It turns out that workplace perks and benefits simply aren’t as important to most workers as a sense that they made a difference. According to Deloitte University Press publications, meaning in work is a big driver of productivity. In the factory setting, it’s really easy to keep an eye on how much effort an employee is putting into the task that they have been assigned. But in knowledge-based businesses, keeping track of an individual employee’s productivity is difficult, if not impossible. What is needed are employees who are self-motivated to do well out of a sense of purpose. This purpose can’t be forced on somebody: it has to come from within. Workers who have the greatest sense of purpose, according to Deloitte, are those who feel most in control of their work. The more ownership a person has over their job, the harder they will try. On a final note, Deloitte cautions businesses from going down the Google route and installing lots of fun toys and gadgets in their offices. The firm says that perks like free food are important, but only once you’ve generated the right culture. Otherwise, they go to waste. According to recent data, the annual cost of running a car is well over $5,000, even if you buy a cheap car. When you factor in things like the money spent on insurance, fuel, tax and maintenance, the figures are astronomical – way out of whack of what people should be paying, frankly. Most of this increase in the cost of motoring has to do with the government. A lot of things, like car insurance, gas and cars themselves, have their prices inflated because of tax. And all taken together, these taxes make driving almost unaffordable. The good news, however, is that there is a lot that you can do to bring your costs down. Here are some tips. Most people think that “third party” insurance is the cheapest because it only covers the cost of the other cars on the road, not the one that you own. And while this might seem logical, since it’s covering less, it’s often not correct. The problem is that by taking out third-party, you’re signalling to the insurer that you’re a high-risk driver. Usually, people who take out third party cover tend to also be those people who are at higher risk of having an accident, meaning that the insurance company will increase premiums based on your product selection. Even if the insurance premium winds up being slightly cheaper, those on third party deals lose out in other significant ways. One important way they lose out, for instance, is because of the fact that they are paying nearly as much for significantly less cover. On a “bang for the buck basis,” these policies are bad deals. The other way they miss out is that they have no cover for things that could make them money in the case of an accident, like hiring a personal injury lawyer. Most fully comprehensive schemes come with legal cover, whereas some third party policies don’t. The cost of MOTs is limited by the government, and so mechanics only usually make money by charging for repairs on top of the MOT work. If you take your car down to a regular garage that offers both MOT and repairs, the chances are you’ll end up paying a lot more than you bargained for. 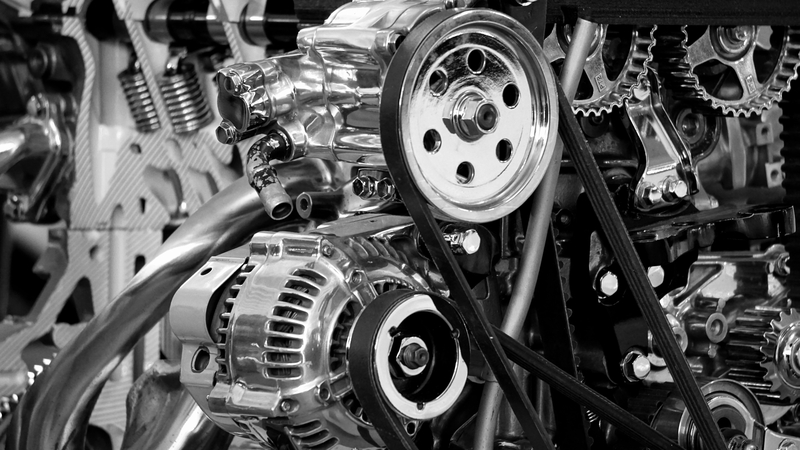 You average mechanic will keenly tell you what needs replacing at a certain mileage, and will often replace things in your car that are functioning well as a “preventative measure.” It’s a good idea, therefore, to send your car to a hidden MOT centre run by the council. Since they’ve usually got no equipment to repair your vehicle, they’ve got no incentive to charge you extra. That’s good news. There’s not much you can do to reduce the cost of fuels unless, of course, you’ve got a penchant for buying premium versions. In general, there’s no point buying premium fuels, unless you think you’ve got a clog in your engine that needs cleaning out. Yes, you might get higher performance, but otherwise, they’re a waste of money.